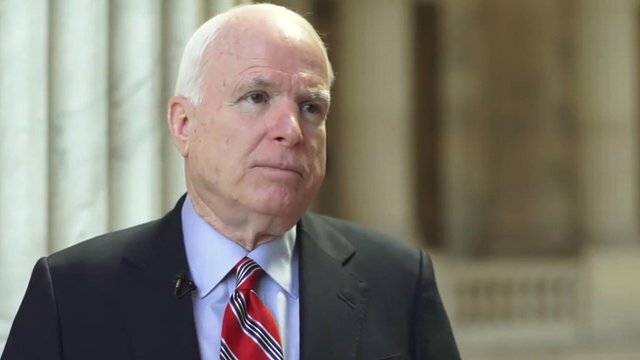 John McCain's surprise Syria visit Jump to media player One of the strongest advocates of US military aid for the Syrian opposition, Senator John McCain, has made an unannounced visit to Syria for talks with rebel commanders. 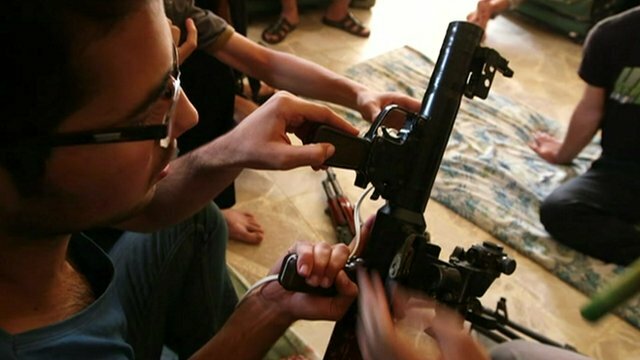 EU lifts arms embargo on Syria rebels Jump to media player European Union foreign ministers have agreed not to renew the union's arms embargo on the Syrian opposition, after lengthy talks in Brussels. 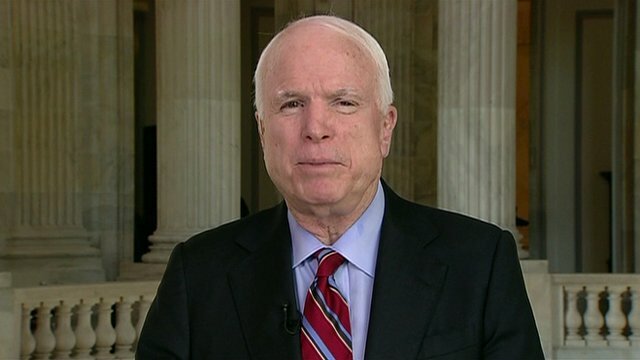 McCain: 'Chemical weapons use in Syria no surprise' Jump to media player US Senator John McCain talks to Newsnight's Jeremy Paxman about the US disclosure that intelligence finding showed Syria had used chemical weapons. 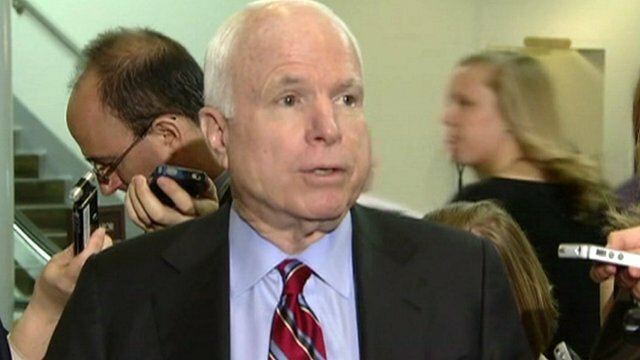 'Syria red line has been crossed' Jump to media player US Senator John McCain has said Syria's apparent use of chemical weapons, meant "a red line" had been crossed. 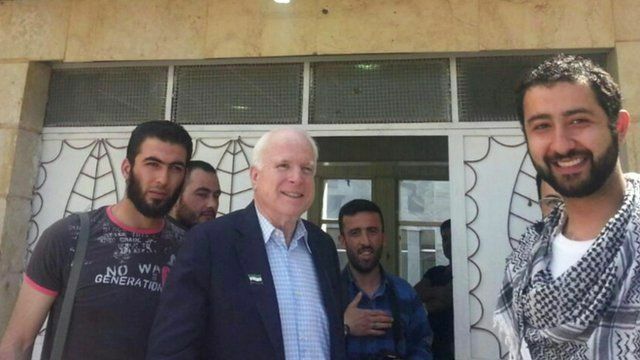 One of the strongest advocates of US military aid for the Syrian opposition, Senator John McCain, has made an unannounced visit to Syria for talks with rebel commanders. The rebels called for a change in American policy, demanding the provision of heavy weapons, the imposition of a no-fly zone and air strikes on Hezbollah fighters inside Syria. David Willis reports from Washington.